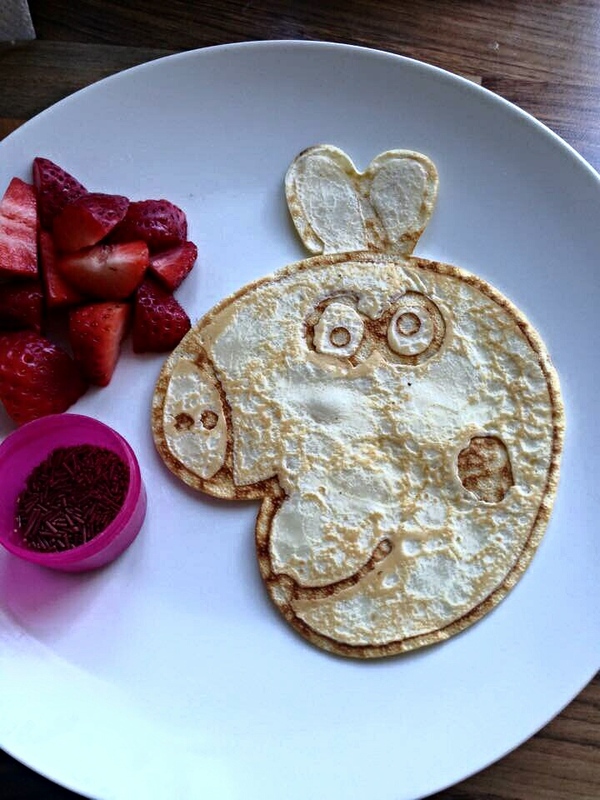 Across the land parents and children are turning flour, eggs, and milk into Peppa Pig Pancakes and Baby B was not going to be left out. Not on his first Pancake Day (he can’t say Shrove Tuesday)! 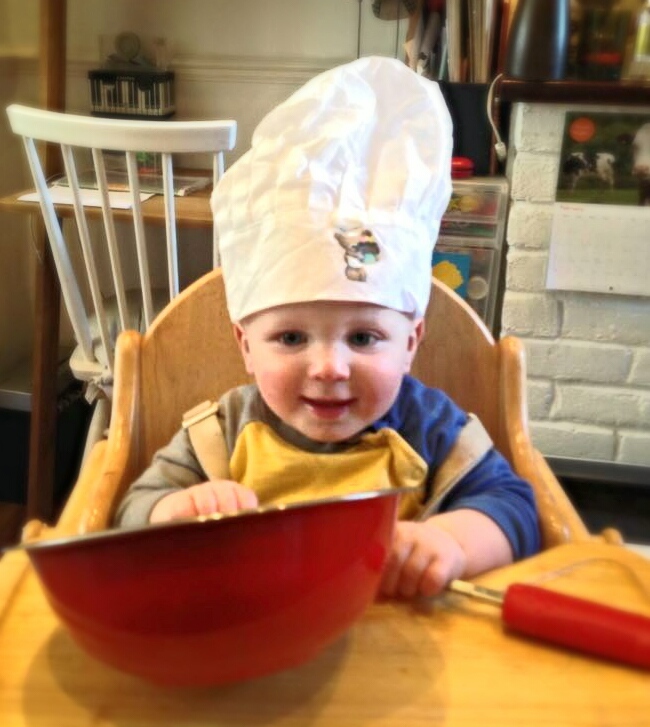 So he got his chef’s hat on. And got mixing up his batter. If you can’t remember whether the flour goes in the milk or the other way around and want to make a better batter there are loads of pancake mix recipes online. And exactly 30 minutes later he’d produced his first Peppa Pig Pancake! He asked an adult for help using the hob however. Anyway, his executive chef skills would make Jamie Oliver jealous. 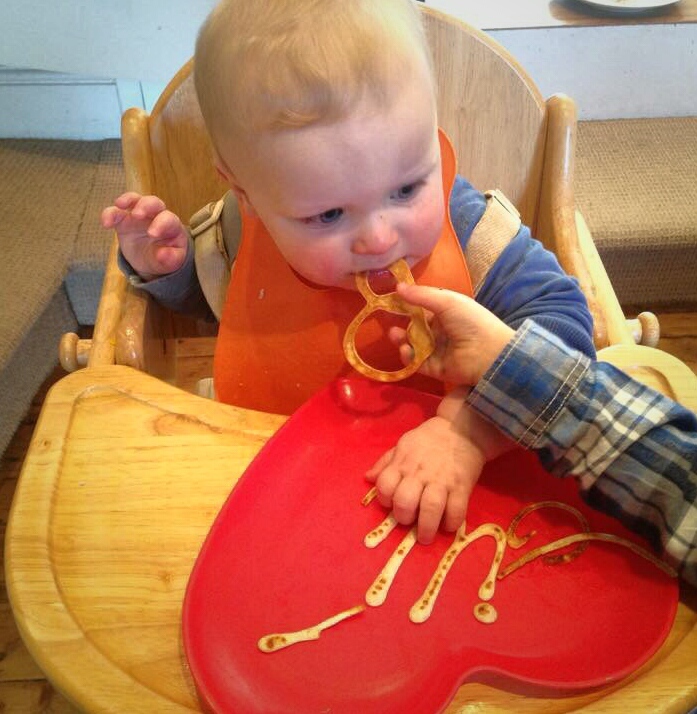 As you can see Baby B is all about his five a day and there was a strawberry side to go with his pancake. And before you could say “Snort” he was tucking in! When Mrs B got home she said that someone she works with who is from Spain had told her people there don’t eat pancakes (sad face). However, she said they do bury sardines on Ash Wednesday (surprised face)! So we’re looking forward to trying that next year. For a moment there it was like being in an episode of Peppa Pig.